Okay, so once again my iPad and the wifi at this Riad are not friends. So this post will be a brief rambling of our day written by one thumb on my iPhone. It was a day of 3 countries (yet again) and 2 continents. The day started bright and early in Rouvreux with John and Dawn where we said a sad goodbye with a drop off at the train station in Liege. From there it was a train to Brussels, and from there, the TGV to Charles de Gaulle airport in Paris. 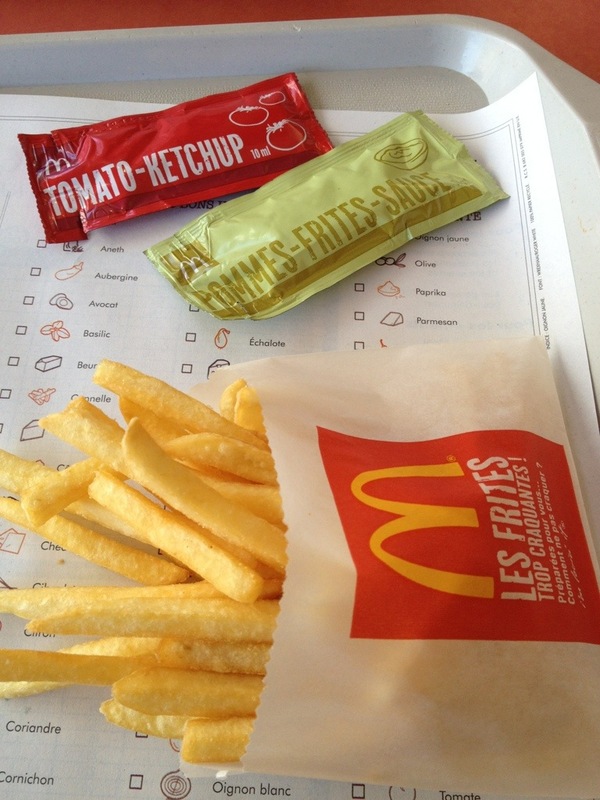 We had a bit of a wait for our flight and succumbed to the smell of McDonald’s fries at the airport. It definitely hit the spot though. 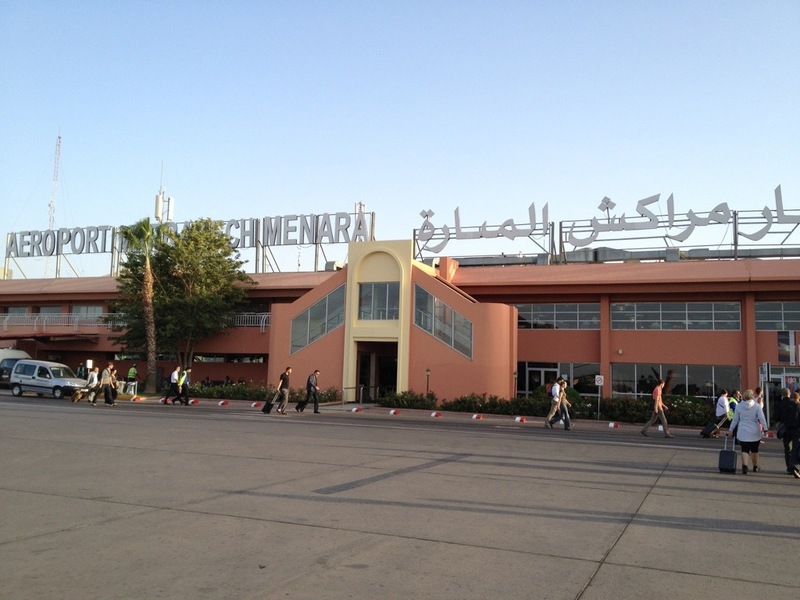 From Paris, we then took a 3 hour flight to Marrakech in Morocco. From the airport, I had already arranged a pickup from the Riad (aka B&B) that we were staying in. So that worked out nice. What didn’t work out so well was the crazy drive that followed – not that the cab driver was bad, it’s just the way everyone drives and walks. Think of the drivers in China combined with the pedestrians walking out in the middle of streets whenever they choose combined with motorbikes at every turn. Crazy. Our driver then proceeds to stop in a square and hand us off to a group of young guys with a cart. They take our bags and start to lead us on foot down the narrow streets. I’m trying to believe in these kids since we were handed off by the driver, but at the same time they’re leading us down some dark alleys. I quietly say to Pat, “Get ready to leave our luggage and run,” but thankfully we arrive at the Riad and it all turns out to be legit after all. 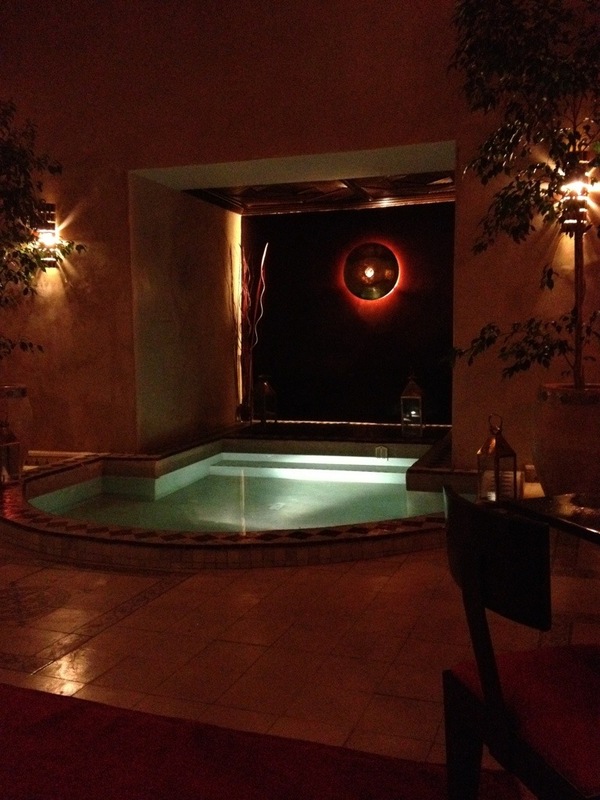 Our Riad is beautiful and a nice oasis from the crazy streets of Marrakesh. Your riad looks really nice, but I don’t envy you the 106. I know. I’m going to die today. Thank goodness our Riad has a/c!